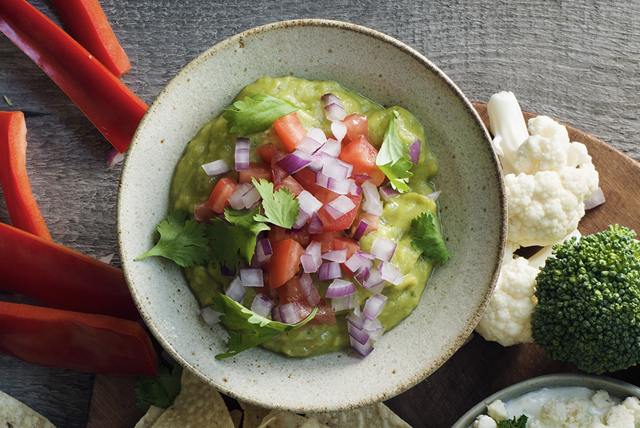 Dip into these tips on how to make guacamole and you’ll be ready to host your next fiesta in no time. 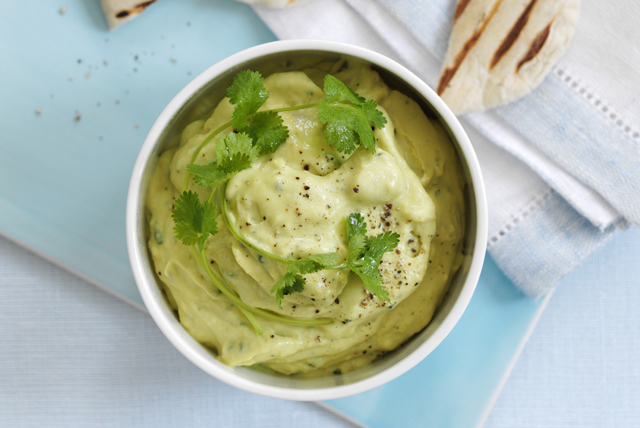 You can’t beat the irresistible combination of creamy avocados, zesty lime and savoury garlic, so get the best tricks to whip up an unforgettable guacamole to celebrate. 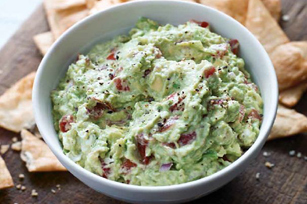 Assemble the ingredients you will need to prepare for our easy-to-make guacamole - avocados, lime, garlic, Miracle Whip Original Spread and cherry tomatoes. 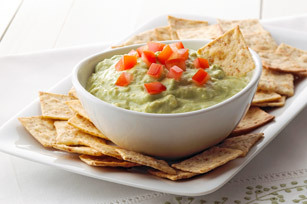 When making guacamole, you need to use ripe avocados. 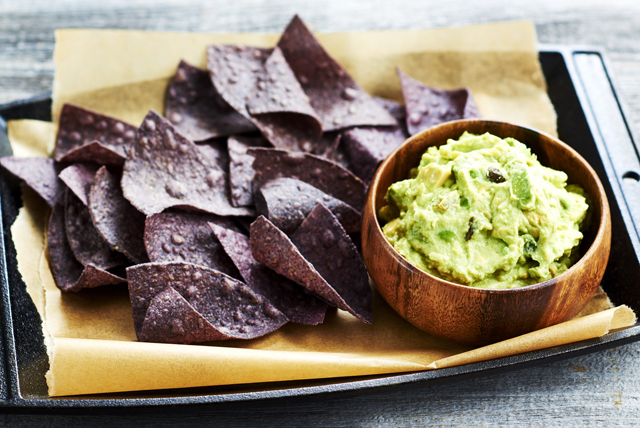 To help speed up the ripening process of under-ripe avocados, place them in a brown paper bag, then close bag and let stand at room temperature until avocados are softened. 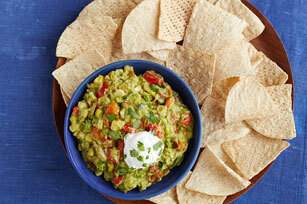 (It can take between 2 to 5 days to fully ripen avocados). 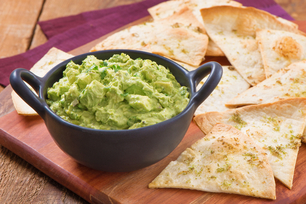 Once avocados are ripened, they can be stored in the refrigerator for about 2 days before using. 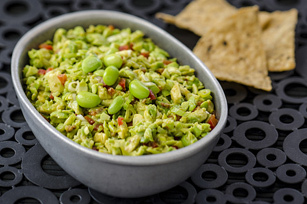 To prepare a ripe avocado for mashing, place the avocado on a cutting board, then use a large sharp knife to cut it lengthwise in half. 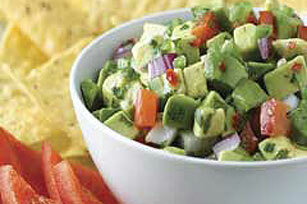 Twist the avocado halves in opposite directions until one side breaks off from the pit. 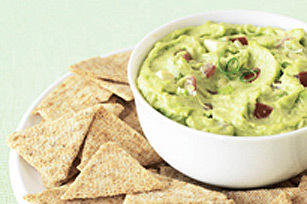 To remove the pit, gently strike the knife blade into the avocado pit, then carefully twist the knife to remove the pit. 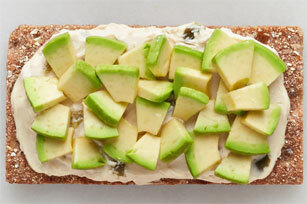 Use the knife to carefully cut the fruit from the avocado peel. Or, you can remove the fruit with a spoon; or slide your thumb between the peel and fruit to remove the fruit. 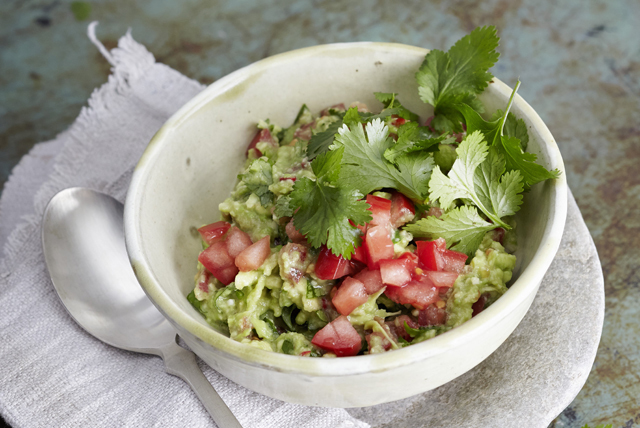 Place the removed avocado fruit in medium bowl, then mash with fork to desired (chunky or smooth) consistency. 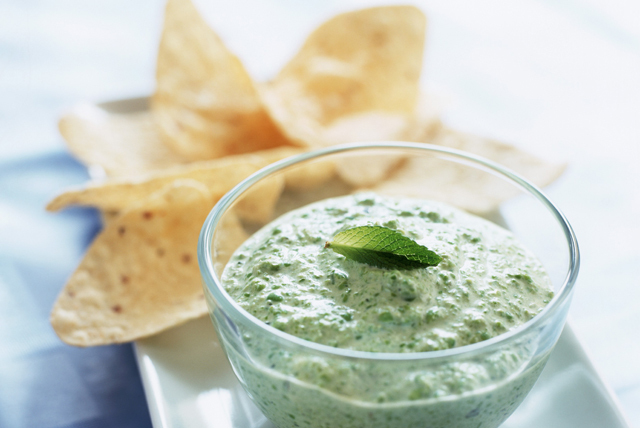 Add lime juice, minced garlic and Miracle Whip; mix well. 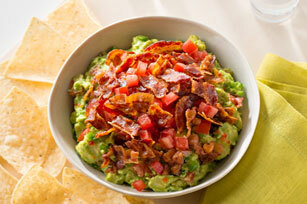 Garnish with chopped tomatoes and serve with tortilla chips. 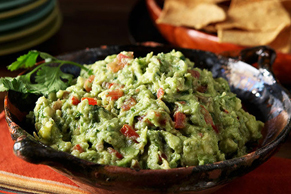 To store the guacamole, spoon it into an airtight container, then cover with plastic wrap, pressing plastic wrap directly onto surface of the guacamole to prevent it from darkening. Cover with tight-fitting lid, then refrigerate until ready to serve.